The Wind Rises will be the last film ever produced by Miyazaki. Anyone with even a passing interest in anime has heard the name "Miyazaki". Studio Ghibli's most prominent director, Hayao Miyazaki has produced countless anime classics, including My Neighbor Totoro, Spirited Away, and Howl's Moving Castle. But it now looks like the legendary director's era is coming to an end, as the head of Studio Ghibli has announced at the Venice film festival that Miyazaki is retiring from the studio, aged 72. "Miyazaki has decided that Kaze Tachinu (The Wind Rises) will be his last film, and he will now retire," said Koji Hoshino, head of Studio Ghibli. Hoshino didn't give any further details, but said that Miyazaki would hold an official briefing in Tokyo regarding his retirement in the near future. Ghibli were showing Miyazaki's latest (and now, last) work: The Wind Rises at the film festival. The Wind Rises is a fictionalized account of Jiro Horikoshi, the man who created the famous Mitsubishi "Zero" fighter plane used in World War II. While it has attracted universal praise from fans and critics alike, it has unfortunately attracted some unwanted attention from Japanese Nationalists, who have a problem with the film's strong anti-war message. Miyazaki's works have been incredibly influential not just on Japanese anime, but also Western animation. His films have become so popular in the west, that it is not uncommon for big name actors such as Liam Neeson and Christian Bale to lend their voices to English dubs of Miyazaki films. 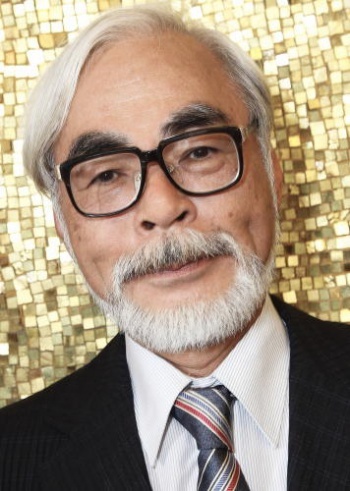 The anime legend will surely be missed, but it is good to see him go out on a masterpiece like The Wind Rises.